As much as I dine out, people are often surprised when I tell them I cook regularly too. 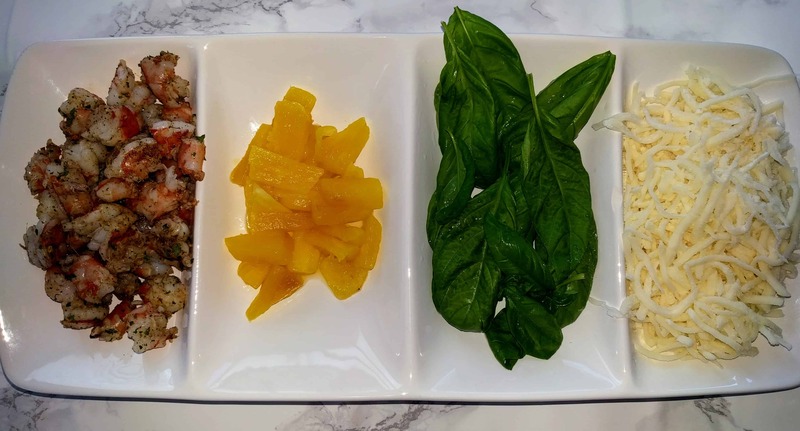 On most days I like to make quick easy meals, because with a full time job and two young children, it’s the only way to get a meal on the table. 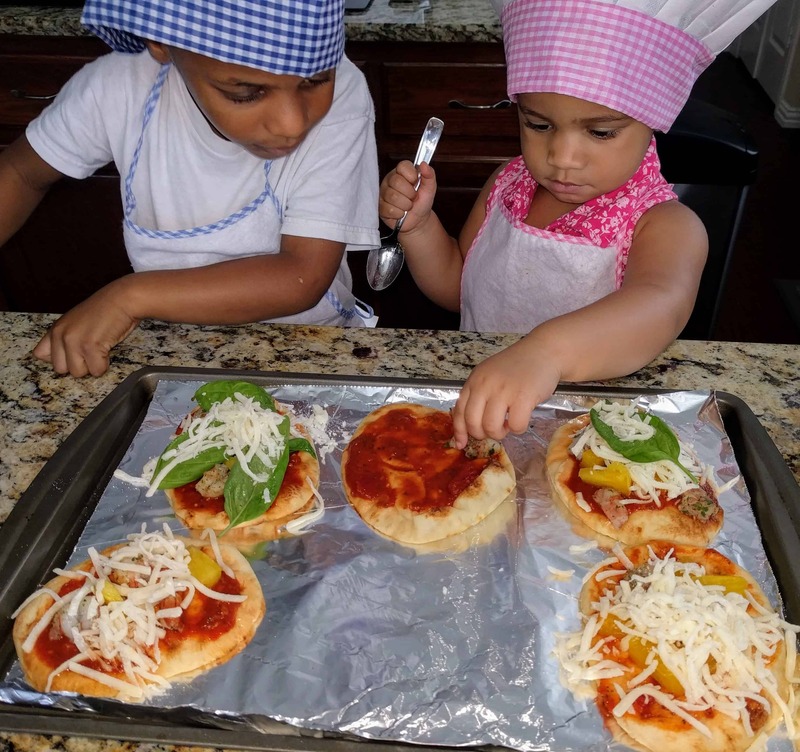 This weekend I decided to get my little ones in the kitchen with me. 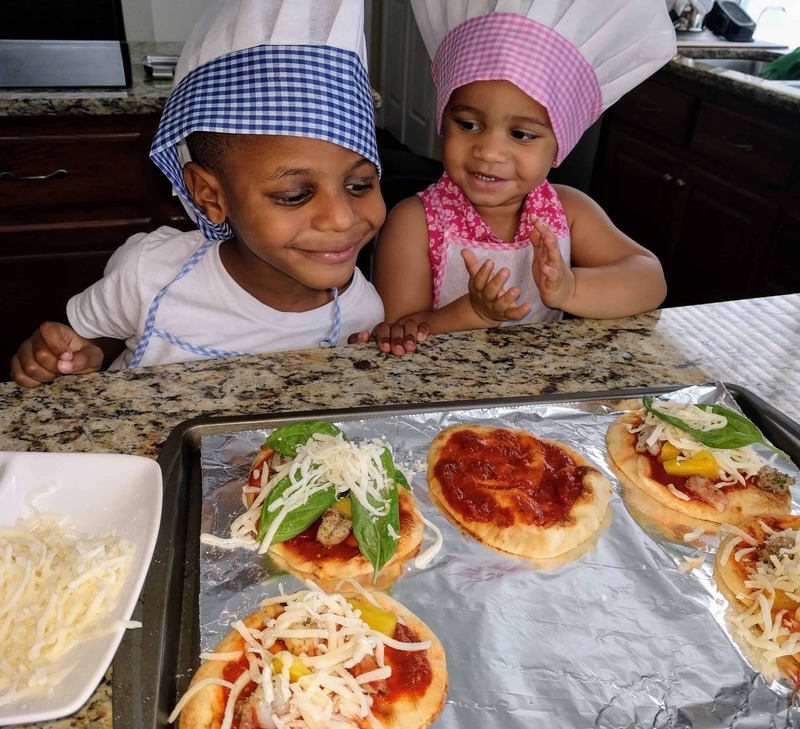 They love helping me cook and it can be fun activity for them. 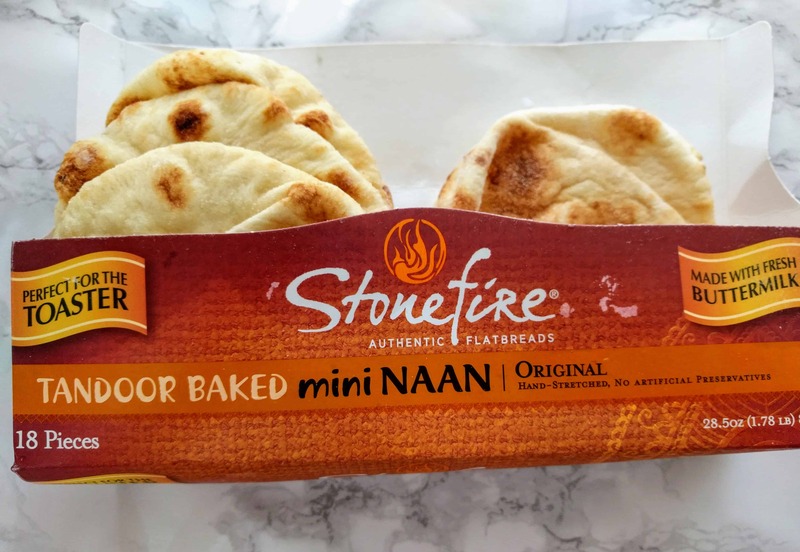 I wanted to keep it simple so we decided to make flat-breads. 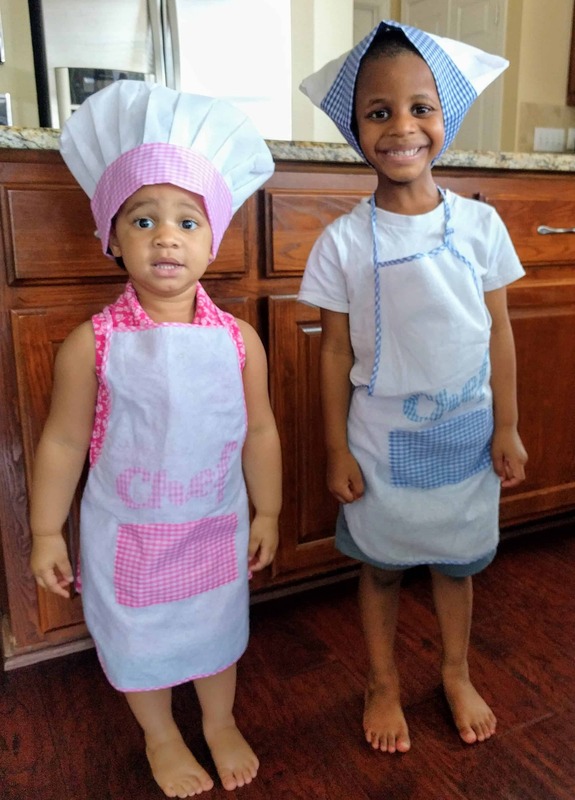 I also wanted to show off these cute apron and chef hats I found in my local Dollar Tree. 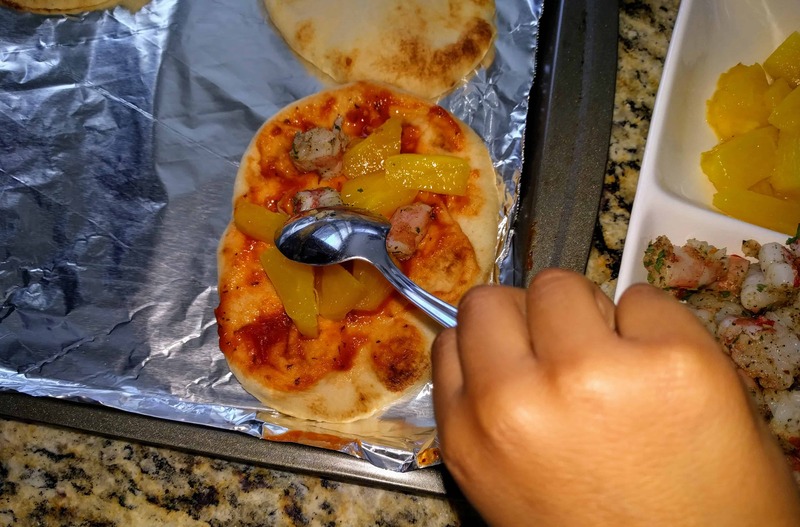 I used the mini naan bread because they are the perfect size for a personal pizza. I keep these on hand in my freezer. They taste great toasted. 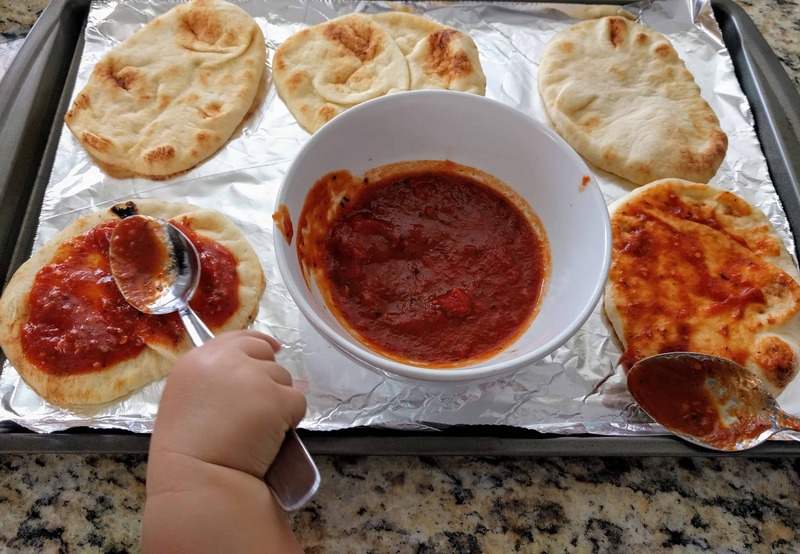 I’ve served them with hummus as a snack; or brushed with a little olive oil, and served with a pasta dish. 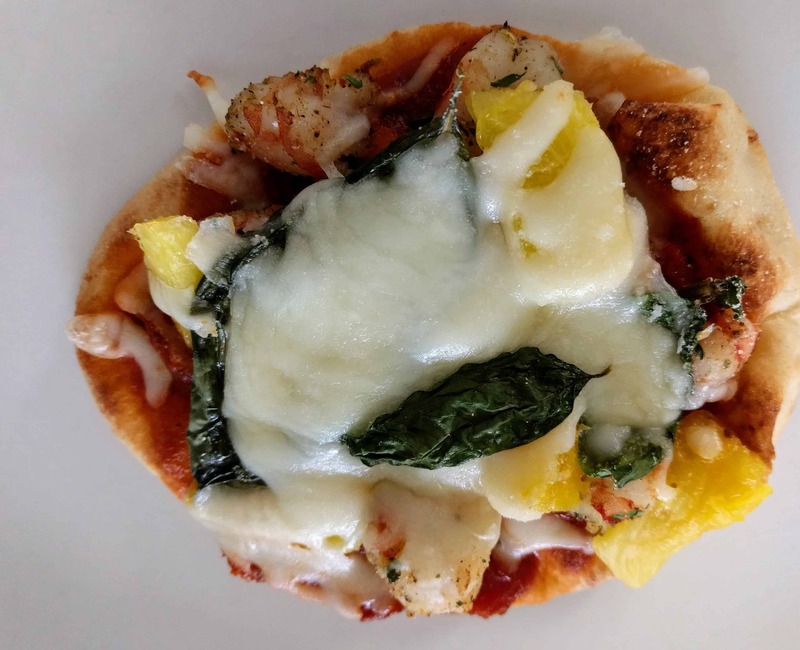 We topped our flat-breads with shrimp, pineapple, basil, and mozzarella cheese. 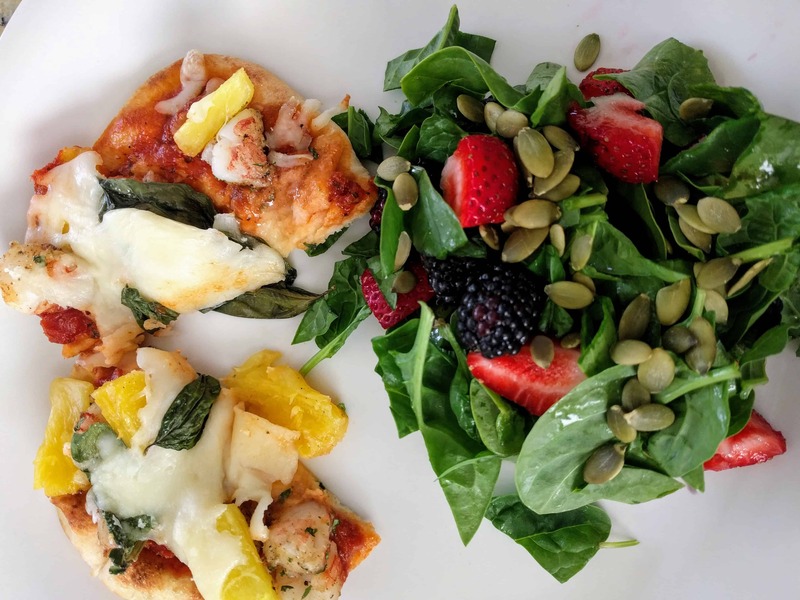 Of course the possibilities are endless with flat-breads. 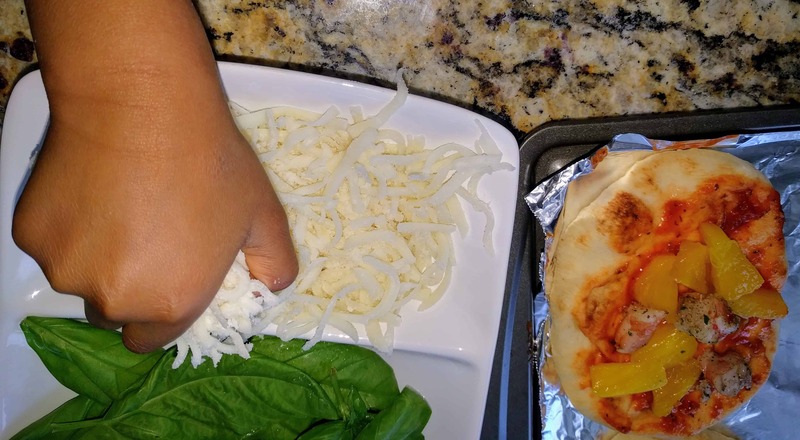 Pick your favorite toppings and set them up and let your little ones get creative. 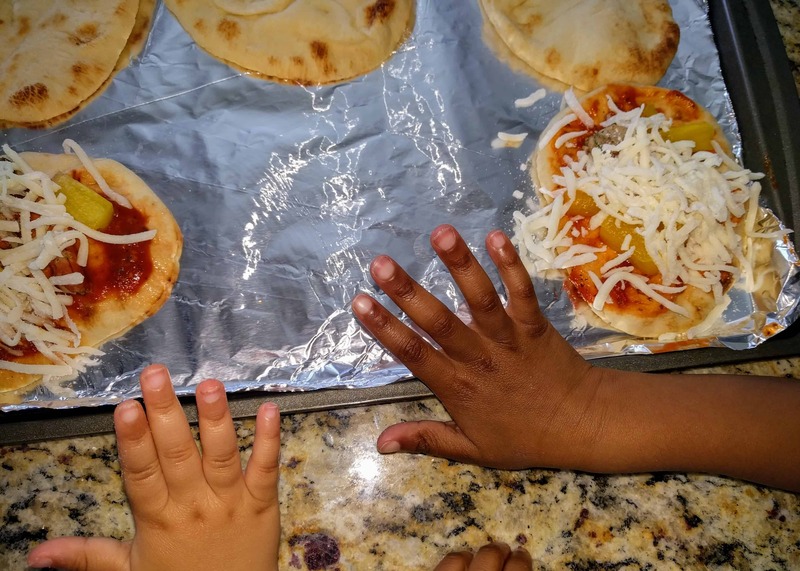 Once I got over my kitchen getting a little messy I enjoyed cooking with my little sous chefs and the flat-breads were delicious. Wow thanks for an inspirational idea that I should try out with the twins!